Gale H. Roid, Ph. D., Lucy J. Miller, Ph. D., Mark Pomplun, Ph. D. and Chris Koch, Ph. 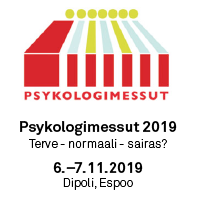 D.
The Leiter-3 evaluates nonverbal cognitive, attentional and neuropsychological abilities, and targets "typical" as well as "atypical" children, adolescents, and now adults. Its engaging, nonverbal format makes it ideal for use with individuals with Autism and Speech/Language Disorders, as well as those who do not speak English. It provides an IQ score, as well as percentile and age-equivalent scores for each subtest. The Leiter-3 has retained the best of the widely-used Leiter-R subtests, and includes a number of new measures. It now uses a refined block-and-frame format, plus foam manipulatives, for easier manipulation by all subjects. Completely nonverbal, the Leiter-3 maintains an easy, game-like administration throughout the test, which holds interest for a wide range of ages and clinical groups. Overall efficiency and utility of the Leiter-3 has been increased by combining Leiter-R subtests, and removing items with similar difficulty levels, based on Leiter-R data. Through this process, the number of subtests has been reduced from 20 to 10. The streamlined Leiter-3 provides improved assessment of Fluid Reasoning and Attention/Memory. Decreased number of subtests, increasing overall efficiency and utility of the instrument. The Leiter-3 was re-designed to accommodate individuals with a wide range of cognitive and physical disabilities. Blocks are lightweight, colorful, non-toxic, and choke-safe, with rounded corners, to prevent harm to either the subject or examiner. The Frame is lightweight, yet durable, without sharp corners. Foam Pieces are durable and brightly-colored. Easel and Stimulus Books are laminated for durability and easy clean-up. Psychometric studies show the Leiter-3 to have exceptional fairness for all cultural and ethnic backgrounds. The test is very useful for nonverbal, non-English speaking individuals, as well as those with ADHD, Autism and other Communication Disorders. Unlike other IQ tests, the Leiter-3 emphasizes fluid intelligence, the truest measure of an individual's innate cognitive abilities. This makes the Leiter-3 more accurate and fair, since IQ is not significantly influenced by the individual's educational, social and family experience. Attention and Memory subtests enhance interpretation of the global IQ score, by providing valuable diagnostic indicators regarding the score on the Cognitive portion of the Leiter-3. They also distinguish individuals with ADHD, LD or neuropsychological impairments, from typically-functioning individuals. The Leiter-3 provides individual subtest, and numerous composite scores, that measure intelligence and discrete ability areas. These scores identify strengths and weaknesses in individual skills, as well as skill sets. Percentile and age-equivalent scores are provided. Growth Scores are provided for all domains, enabling professionals to measure small, but important, cognitive shifts within a skill set, particularly important for children cognitive disabilities. Tracking these shifts allows professionals, educators and parents to see the improvement (growth) across time, irrespective of age-based standard scores. The Leiter-3 Scoring Software may be ordered seperately, and comes on a USB. It is compatible with both Windows (Windows XP (SP2 or later), Windows Vista, and Windows 7) and also Mac (OSX Intel based 10.10 and or later). Normative data includes more than 1,600 individuals, representative of the most current general population, in terms of ethnicity/race, gender and age. The normative sample is also diverse in terms of parent/self education level and geographical region. 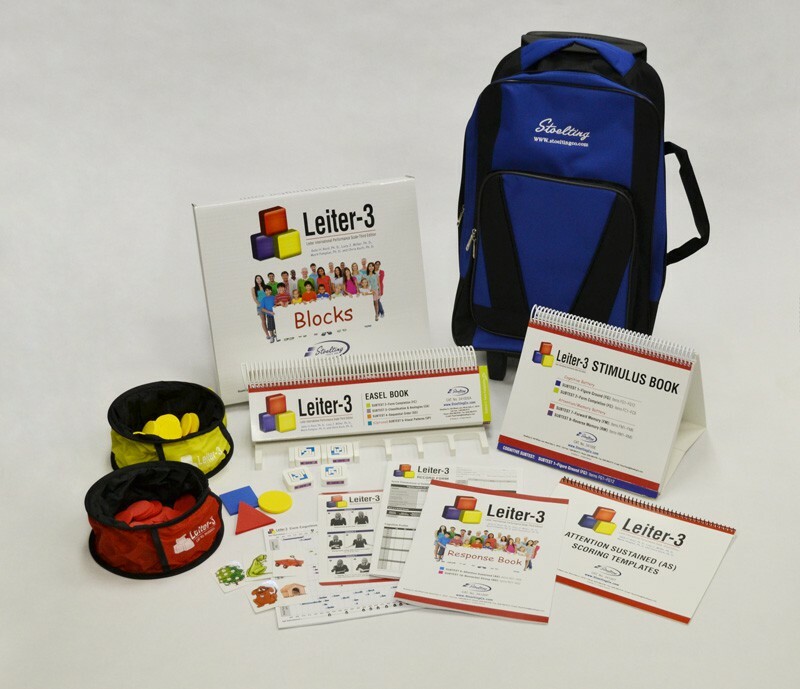 The Leiter-3 Kit includes all Manipulatives (Frame, Blocks, Foam Shapes, Stimulus Cards, Attention Divided Bowls), an Easel Book, a Stimulus Book, Scoring Keys, Administration Gestures Laminate, Record Forms, Response Booklets, a Manual, a Timer and a Purple Marker, all in a convenient Rolling Backpack.